A 19-year-old man has appeared in court charged with the murder of a man in Co Monaghan three years ago. Aaron McDonagh, of no fixed abode, was arrested at Clarke train station in Dundalk yesterday evening. 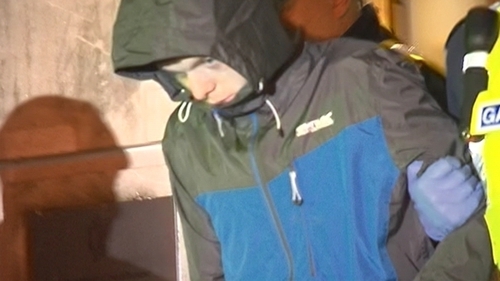 He was brought before Monaghan District Court this evening, charged with murder and arson. Gerry Marron, 61, died in a fire at his home at St Macartans Villas in Carrickmacross in March 2016. Gardaí later established the fire was started deliberately. Detective Ciaran Marks told the court that he charged Mr McDonagh at Carrickmacross Garda Station and the accused made no reply. Legal aid was granted and the accused was remanded in custody to appear before Cloverhill District Court on Thursday. Medical assessment for the accused was granted. The court heard an application would be made regarding the accused's fitness to plead.